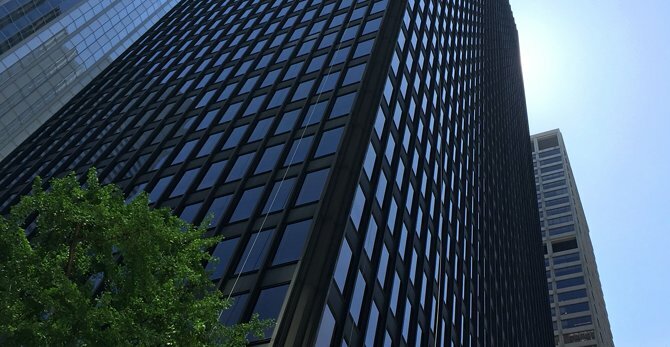 Designed by Modernist master Mies van der Rohe, it has a Koons Balloon Dog sculpture in its lobby and the Four Seasons restaurant (for which Rothko made paintings) off to one side. 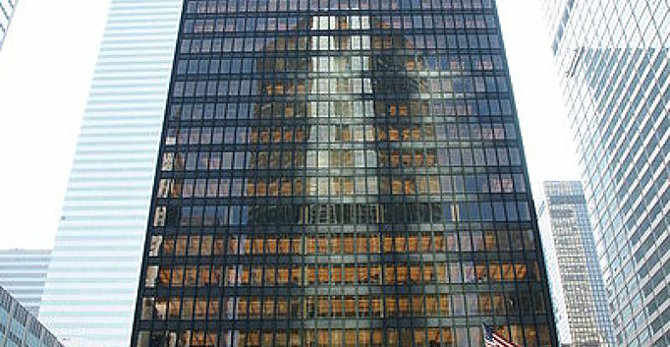 NY Times calls it most important bldg in 20th century. 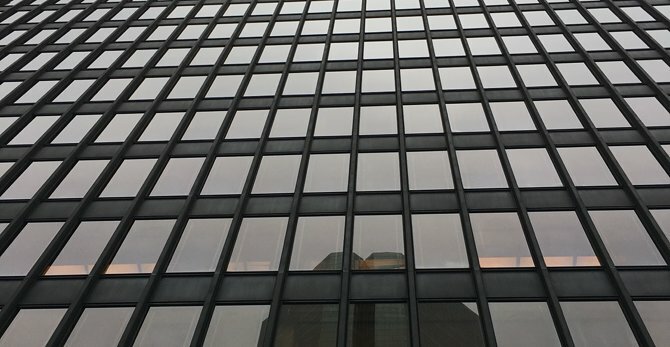 To ensure uniformity, Mies went so far to only allow window blinds to be fully open, 1/2 open or fully closed. More bldg history in blog.